Representatives from our Bursary winners and runners up came in to collect their cheques on 6th February 2017. 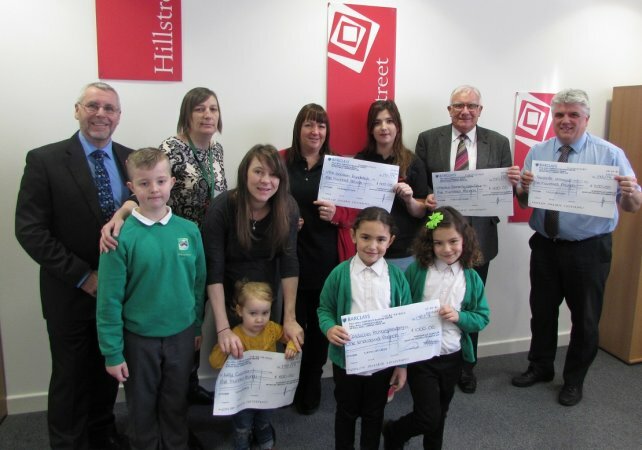 Caldicotes Primary were our overall winners who received a £1,000 bursary. They are planning to continue their scheme of running lunch and activity clubs during the school holidays. 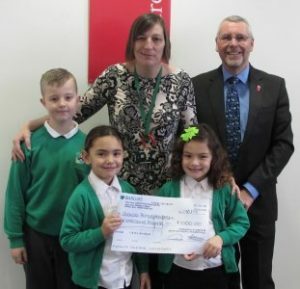 Angela Barry and three of the pupils who attend the lunch clubs came in to collect their cheque from Centre Manager Peter Drabble. The Junction Foundation were runners up and received £500. Eileen Cowle and Sophie McCormack collected the cheque which will support their Young Carers Project, offering support to young carers and enabling them to take part in peer group activities and opportunities. 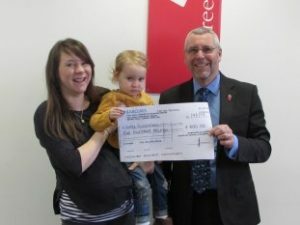 Lucy Cuzzocrea is the founder of Mama Mates which received £500. 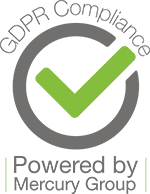 The organisation supports parents and caregivers, offering health advice on all aspects of childcare as well as positive mental health for parents and weekly meet ups for members to support each other. 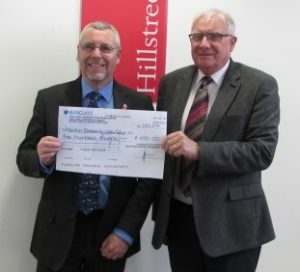 Tom Mawston collected Marton Community Centre’s bursary of £500. The centre provides rooms for baby and toddler groups, a youth club, health and fitness classes, arts and crafts and a group to benefit bereaved people. The donation will be used towards resurfacing of the soft play area to enable toddlers and children to keep using this resource. 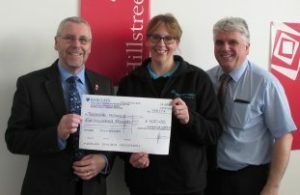 Kim Bradley from Teesside Hospice collected a bursary cheque of £500 from Centre Manager Peter Drabble and Operations Manager Colin Smith. We supported Teesside Hospice during Christmas 2016 by hosting their Light Up A Life tree in the centre, giving customers the chance to remember a lost loved on by placing a dedication on the tree. 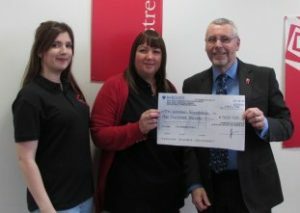 Teesside Hospice are now looking to purchase a defibrillator to further benefit the charity.